Grind the Crunchmaster® Sea Salt Multi-Grain Crackers in a food processor or blender to fine crumbs and pour onto a dinner plate. Remove a chicken wing from the marinade, roll in the cracker crumbs to coat and place on prepared baking sheet. Repeat with remaining chicken wings. Discard the marinade. Spray the tops of the wings lightly with gluten free, non-stick cooking spray. Bake for 25—30 minutes or until browned and cooked thoroughly (registering 165°F on an instant read thermometer inserted into the thickest part of the wing). 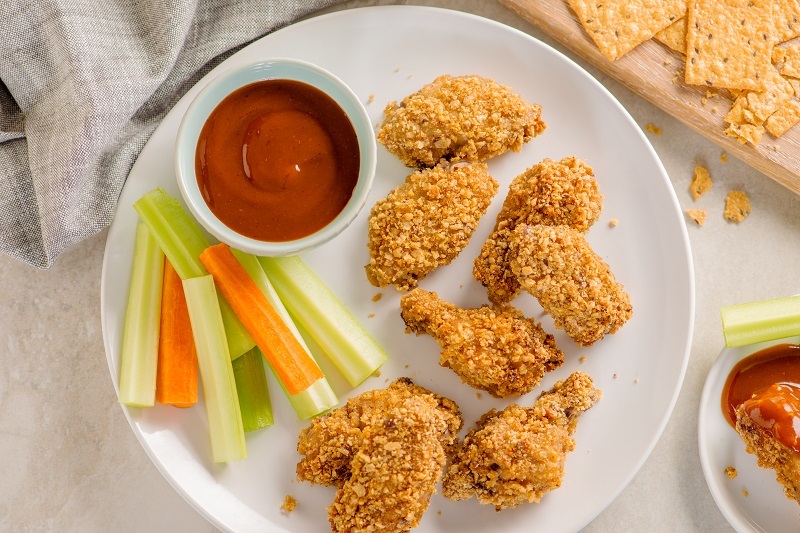 Combine the remaining 1/4 cup barbecue sauce with the remaining 1/4 cup honey and serve with the wings for dipping.